Casting has been announced for the UK premiere of Jen Silverman’s Collective Rage: A Play in Five Betties, which opens at Southwark Playhouse in January. 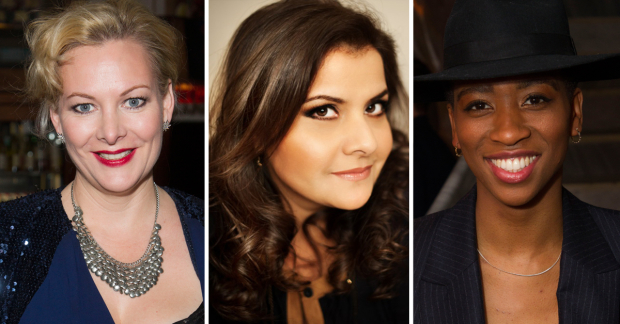 EastEnders actress Nina Wadia leads the all-female cast alongside Sara Stewart (Enron, Dr Foster), Lucy McCormick (Roller Diner), Beatriz Romilly (Much Ado About Nothing, Doctor Faustus, Shakespeare’s Globe) and Genesis Lynea (In the Heights, Jesus Christ Superstar). Directed by Charlie Parham, the piece is strongly influenced by cabaret and female drag and charts the lives of five very different New York women named Betty. Collective Rage: A Play in Five Betties runs at Southwark Playhouse from 29 January to 17 February, with previews from 24 January.